When backing up to a Synology NAS using VeeamZIP via PowerShell, the job was failing with an “isFileExists” error. Here’s the solution. I have a Windows Server 2016 server with a number of Hyper-V virtual machines running on it, and Windows Server Backup wasn’t backing them up for reasons known only to Microsoft. Various forums and reports on Microsoft’s Technet suggest there’s a fix needed for Server 2016 which, two years after first complaints, still hasn’t been forthcoming. Everywhere seemed to suggest using something like Veeam Backup & Replication instead, so I installed that. I only need a simple “backup the VM periodically” function, and Veeam B&R has this option in the free version in the form of VeeamZIP. This is all well and good, but it’s ad-hoc backup only – no scheduling unless you fork out for the paid versions. Luckily, Veeam themselves have a PowerShell script that you can schedule, which makes use of the Start-VBRZip command. Sadly, it wouldn’t work for me, and it turns out it’s because I’m backing up to a Synology NAS. # Directory that VM backups should go to (Mandatory; for instance, C:\Backup) $Directory = ""
If I set $Directory to a location local to the server (e.g. “d:\”) then it works. Set it to the NAS (e.g. “\\synonas\share\backups”) and I get the error “Failed to process [isFileExists]”. Looking on the NAS, the logs say the server connected – with working credentials – but no files are created. After the usual head-scratching and log searching, I realised something: The script is running with the correct credentials, but the Start-VBRZip command in it is not. 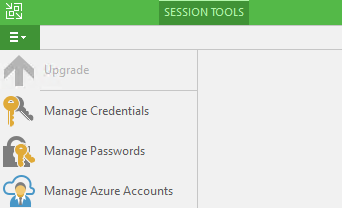 Create a set of stored credentials in the Veeam Backup & Replication GUI, using the “Manage Credentials” option. Retrieve that in the form of an array in PowerShell and pass it to Start-VBRZip. The second step is necessary because the parameter expects an array not a string. If you have a set of credentials for (e.g.) “DOMAIN\Admin” stored in Veeam B&R, you can’t just pass -NetworkCredentials “DOMAIN\Admin”. $cred = Get-VBRCredentials -Name "DOMAIN\Admin"
and then pass $cred to Start-VBRZip’s -NetworkCredentials parameter. Only there’s another snag: the provided PowerShell script doesn’t do anything with credentials as the parameter is missing. We can fix that by adding it ourselves. Save the file, add it to Task Scheduler as per the Veeam instructions, and it should now work! Previous Previous post: Was I ready to go Mac only? Baba Is You (Switch): COMPLETED! Deltarune: Chapter 1 (Switch): COMPLETED!